The Team - ddcaterings Webseite! Mrs Daniela Mandl (Austria) and Natalya Whelan (Russia) are founders and owners of the company. Either of them you can meet occasionally in each of our cafeterias. Lately Daniela is overseeing the German clientele and Natalya the American. is currently head chef of the AAS cafeteria. Visit him in the kitchen! is managing the Cafeteria from 2005 till present. 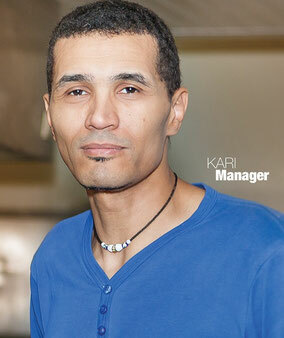 He speaks English, Russian and French and will assist you with whatever request or suggestion you might have.. 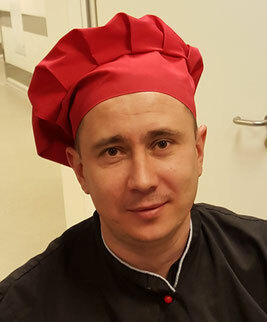 Please contact him at cafeteria@aas.ru. is managing the ES-side of the operation. She is dealing a lot with the prepayment-plan for ES but is always overwatching the lunch-process as well.